The Gambia, located on the West African coastline, is a mere five and a half hours away and appeals to a wide variety of holiday maker. This destination is suited to all holidaymakers, from single passengers to couples and families alike. From the moment you fly into the country, you are assured of a warm welcome and this true for the duration of your stay too, the local Gambians all exemplify why this country is called, “The Smiling Coast”. There are vast stretches of coastline to admire and the temperature whilst in Gambia rarely falls below 30ºc between the months of November and May - meaning it is one of the few destinations guaranteeing wall-to-wall sunshine. During the winter months Gambia is actually one of the hottest places to go and puts a lot of the Caribbean islands to shame! It is a perfect choice for lovers of winter sunshine who don’t want to sit too long on a flight. Our holidays to Gambia operate all year round and during the months of June until October is deemed to be the rainy season. It is however still hot and sunny between the tropical showers. The rain tends to fall through the night with the heat of the day evaporating the night rain away ensuring long sunny days on the beach are still possible. There are plenty of bars and restaurants within the resorts of Gambia. 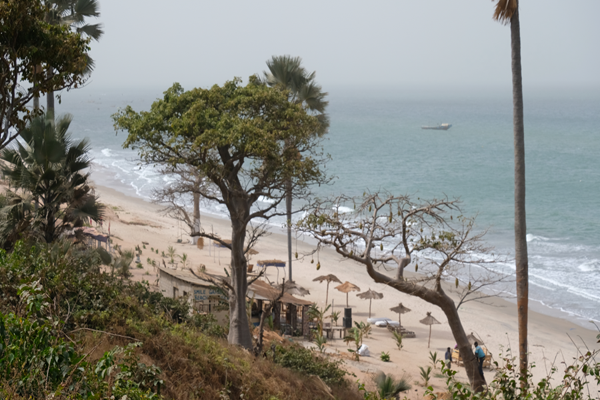 The main area where the bars and restaurants are located is in Kololi and is called Senegambia by the locals. There is a wide variety of restaurants to choose from – Chinese, Lebanese, Mediterranean, Indian, traditional African and European dishes are all available. They are all cooked to a high standard. Drinks are also cheap in Gambia compared to European resorts. Soft drinks are readily available and the local wine and bottled beer, JulBrew, are popular with tourists and can be bought for under £1 in all bars and restaurants. Fantastic value for money - Really cheap in local bars, restaurants and shops! Why not take home a souvenir of your holiday in Gambia. There are a variety of craft markets where wooden carvings, drums or woven baskets can be bought at a very reasonable price. The Gambian people are a genuinely friendly bunch who love to welcome newcomers to their country as well as re-acquainting themselves with returning friends. They all speak English very well amongst other languages and they love chatting to tourists and exchanging stories. The hotels in Gambia tend to be on a bed and breakfast basis, although there are a small number of hotels offering All Inclusive. The type of hotel available differs from basic hotels to small intimate hotels to large hotels offering Spa treatments etc. Whatever your preference, Gambia offers the holidaymaker it all. One thing is guaranteed, you will return home relaxed and chilled and will yearn to return to the Smiling Coast time and time again. Many of our staff at JLM Travel have been to The Gambia numerous times and are very passionate about this special destination. They will be more than happy to offer you help on choosing what is right for you. We will offer friendly advice on hotels and resorts and also offer local tips such as places to eat out, places to visit and where the best areas of the beaches are. 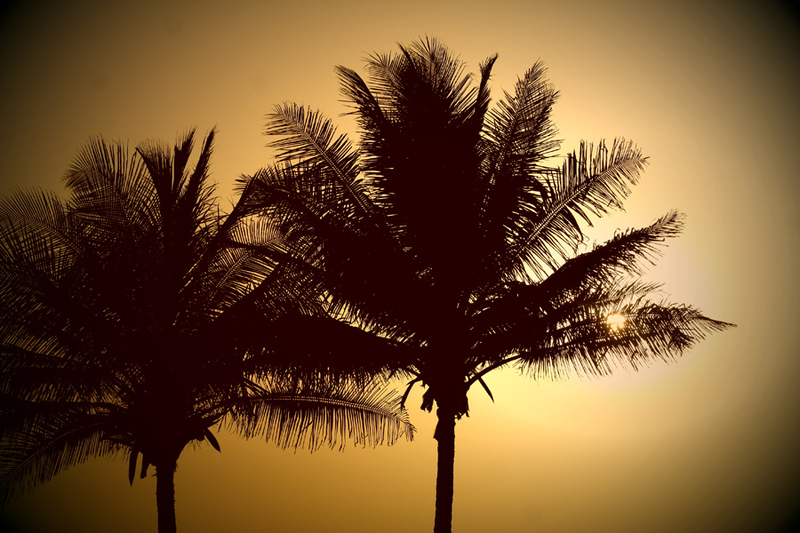 Some of our team have had holidays in Gambia for the past twenty years so are happy to offer impartial advice. The main resort in Gambia is Kololi (known Senegambia to the locals) and it has a good choice of restaurants and lively bars that play live African music until the early hours. The restaurants in Kololi range from good value to A la Carte and are fantastic value for money with prices much lower than European resorts. Hotels in Kololi include the newly refurbished Djembe Beach Resort, the Gambia’s most popular hotel Senegambia Beach and the luxury Kairaba Hotel as well as great value hotels such as the Holiday Beach Club or Sarges Hotel. For a great beach, many people head to Kotu which has a beautiful wide expanse of sand, perfect for soaking up the sun and in recent years has opened a number of new upmarket restaurants. The hotels in Gambia here are mainly on the beach and firm favourites such as the Kombo Beach and Sunset Beach hotels attract repeat customers time after time. Bijilo and Cape Point both have a lovely beach too but are mainly hotel based as there is little in the way of nightlife, however taxis are very reasonable in price and Kotu and Kololi are close by. Two of the hotels offering all inclusive holidays in Gambia are the recently re-opened Sunbeach at Cape Point and the smartline Palma Rima Hotel in Kololi. Both hotels are fairly isolated so night times tend to be spent in the hotel. Both hotels enjoy access to the beach front and offer great service. If you are looking for guaranteed heat in the winter or somewhere different in the summer, a Gambia holiday is just the thing for you and we have some fantastic deals, call us today and book a bargain. If you fancy getting out and about during your Gambia holiday, we can recommend some great things to see and do. Our Gambia Excursion guide will give you an idea of what excursions are on offer in the Gambia.